Doctor Kawaii meets a previous Doctor! Met Peter Davison at NYCC this weekend! 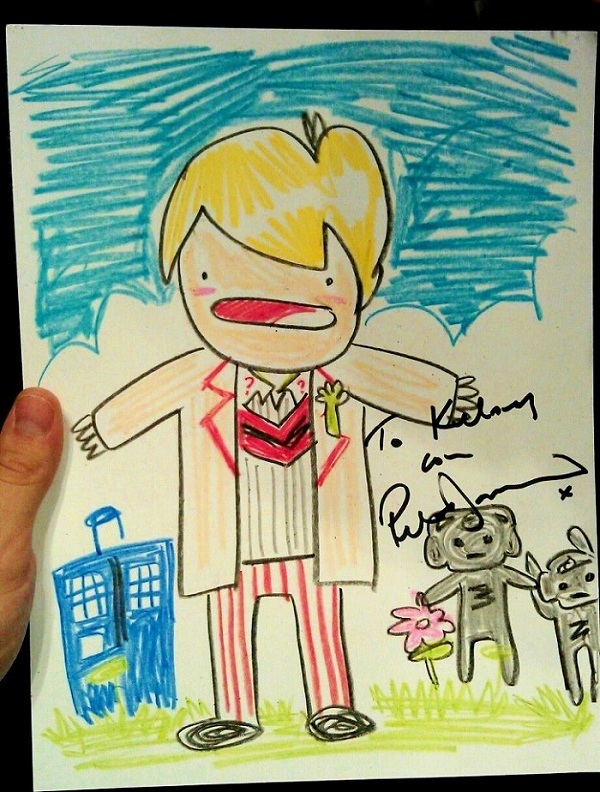 I had originally planned to draw a decent, realistic picture for him to sign/have, but I didn’t have the time to make one, so I drew this absurd crayon Doctor Kawaii drawing instead. When I went to get it autographed, his handler/assistant was so confused, (why would you have a crayon drawing signed, there are photos there to choose from) but Peter Davison thought the drawing was hilarious. He signed it, thanked me, shook my hand, and told me to continue to be creative. It was the highlight of my Saturday at NYCC, and he was super nice and awesome.